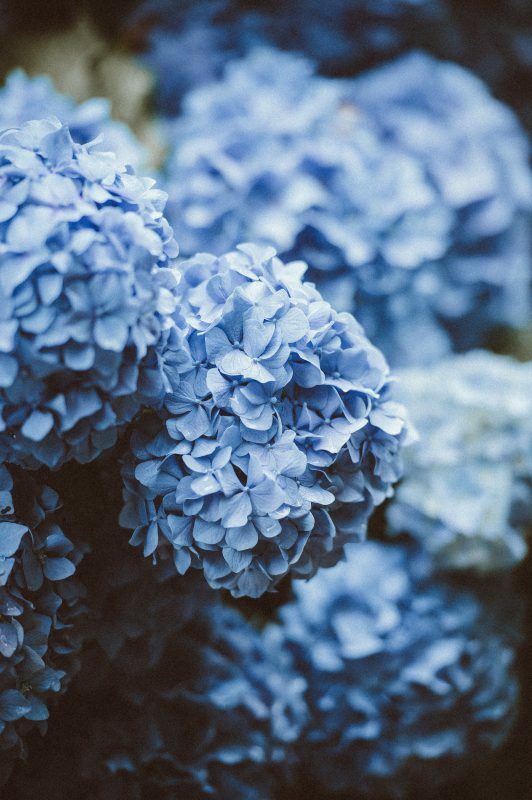 We have a few Tips to Keep Hydrangea Flowers Blooming! Hydrangea flowers are known for their blooms, as long as they are blooming gardeners are happy. The bright and colorful blooms of a hydrangea plant are the best indicator of the soil and growing conditions that the plant has, so if the plant stops blooming you know there is a problem. There are actually a lot of pretty common hydrangea problems that can keep the popular plant from blooming. Use these tips to keep your hydrangea flowers blooming all summer long and identify any problems that may already exist or you are inadvertently causing. One of the biggest mistakes a lot of gardeners make is made right in the beginning, and it is actually caused by garden nurseries making hydrangea flowers available to local gardeners in hardiness zones where the plants are often unable to survive. Do a little research before adding a hydrangea plant to your garden and determine if you are in a zone where the plant is normally found and can be expected to thrive. The variety you have chosen and planted might make it through the season with a few blooms, but if it does return in the fall it will most likely struggle with being able to create the types of blooms that it is known for. A lot of plants struggle when the ground is not properly fertilized, but a lot of gardeners over fertilize the ground where they plant their hydrangea flowers in an attempt to change the color of the flower. Some of the more common fertilizers that are used have a high concentration of nitrogen in them, and nitrogen is a great way to boost the growth of your plant, but it will put all of its energy into creating foliage instead of flowers. It is important that you keep the plants fed, but do so in a natural and balanced way with organic matter and a thick mulch bedding that will slowly decompose into the soil. Like other large bushes, hydrangeas need to be pruned, but there is a right and a wrong time to prune. Pruning is best done immediately after blooming, before the plant has put energy into creating new buds that will remain on the plant until the next growing season. If you prune after the buds have been created the plant will not have any flowers during the next growing season because you have just removed them. Pay very close attention to the stages of development your plants are in to avoid removing the delicate buds and removing any chance of flowers. Hydrangea plants need plenty of sun, but not full sun for the entire day. Plant them in an area where they are going to get several hours of sun throughout the morning and then receive some shade later in the day on the side of a house or building. Too much sun and the flowers will wilt before they are meant to, too little sun and you will get small, half hearted blooms that leave you wanting more. This entry was posted in Style, Uncategorized and tagged Hydrangea.